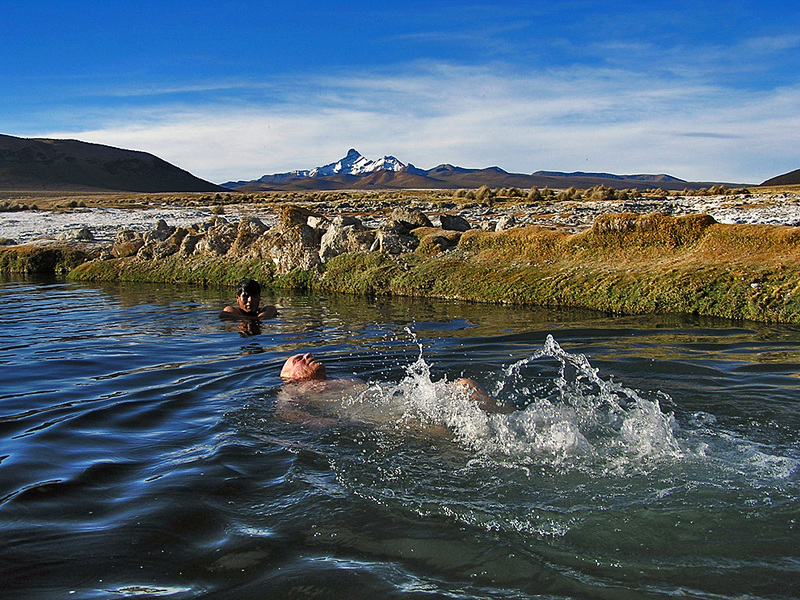 "Experience the three best activities on offer in the widest section of the Andean Mountain Range in South America"
The Andean mountain range's widest point is found in Bolivia and at this point stretches across a Volcanic range in the west, the Bolivian Altiplano in the centre and to the East the Cordillera Real; a world-class mountain range that offers something for all climbers no matter what their previous level of skill and experience may be. Excellent trekking. 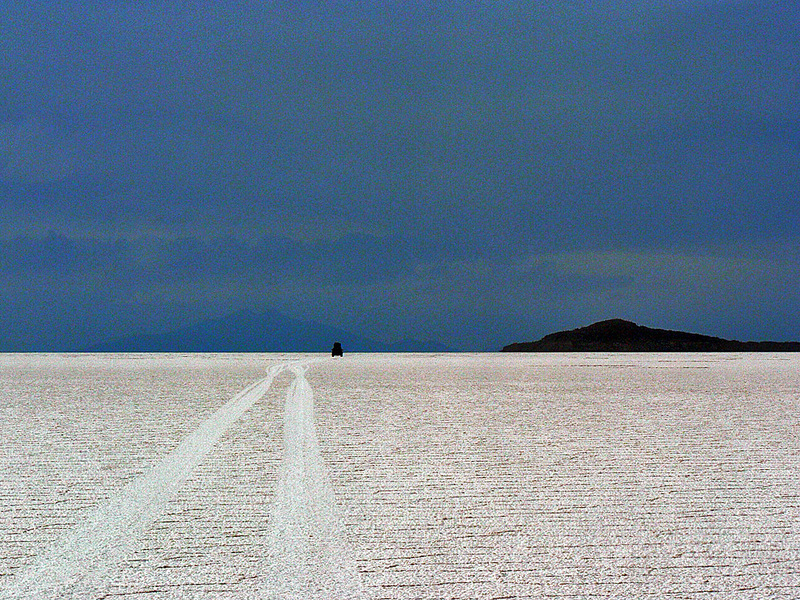 We will explore in 4WD across salt deserts in Lauca and Coipasa, at the Northern end of the Atacama Desert. There is a rich and rare wildlife that includes Vicuñas and Condors. 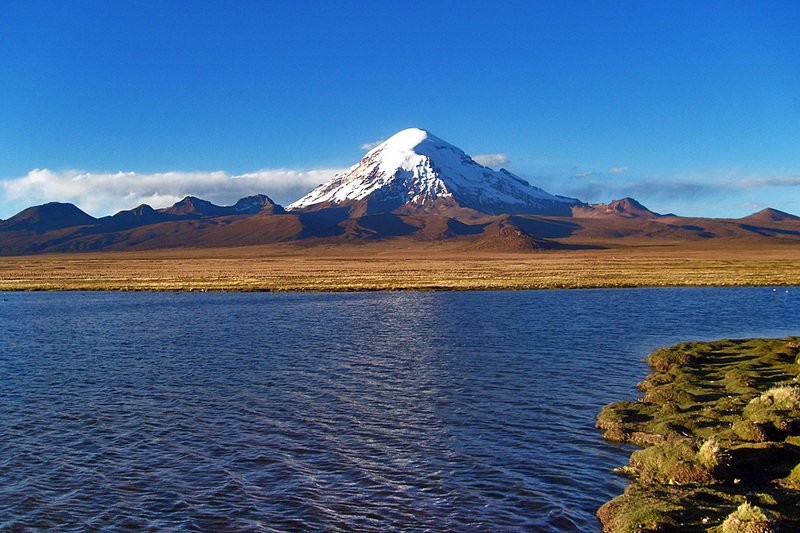 We will see 'pre-history' in the millennium-old graves of Lauca. 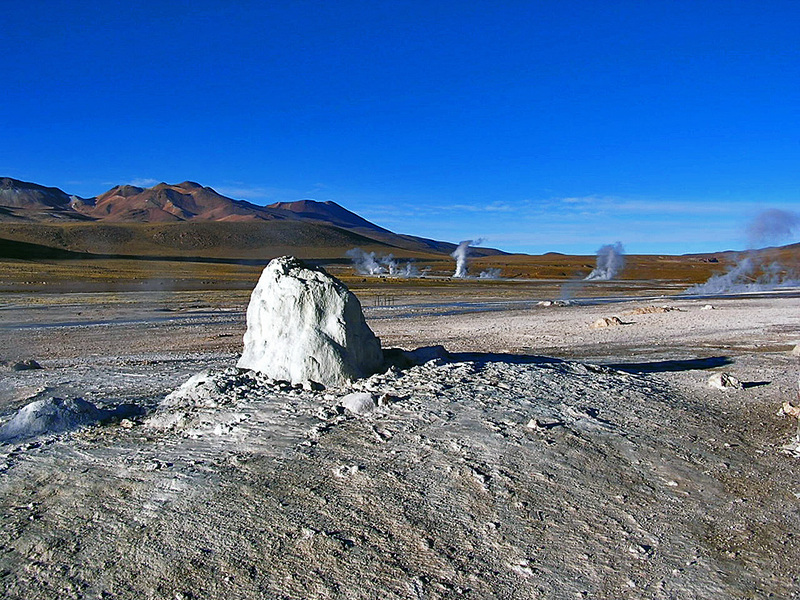 With short hikes we will reach geysers and hot springs in the Sajama Park. Then moving to the Cordillera Real we will trek through glacial valleys in the foothills of the Condoriri's snow caped peaks and then take on Huayna Potosi. This is an unmissable climb that passes over immense tropical glaciers to reach the most doable 6000m peak in this range: Huayna Potosi (6088 m/19974 ft). 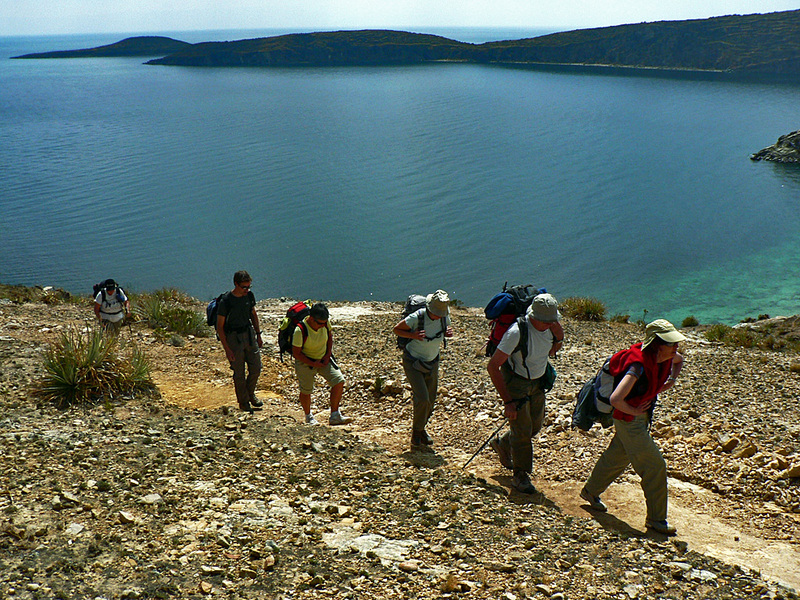 Before setting off on the exploration, we will acclimatize beside Lake Titikaka and on Sun Island. DAY 2: CITY TOUR. Half day to discover the town of La Paz and its indigenous markets, museums, viewpoints and the the eroded landscape of Moon Valley. DAY 3: DRIVE TO COPACABANA CITY & LAKE TITIKAKA. A series of cultural highlights to visit en route. Superb views of Cordillera Real. By boat we will go to Sun Island to find unique traditions and folklore. Lodge. DAY 5: DISCOVER COPACABANA & RETURN TO LA PAZ. Walk through its indigenous markets, streets and viewpoints. Visit the church of Copacabana. Car transfer to La Paz. Hotel. 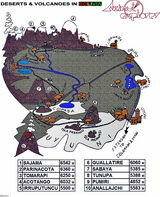 DAY 6: TO TOMARAPI. Car transfer. Visit of Pre-Inca remains, hike in lava flow canyons. Lodge. DAY 7: HIKE TO KASIRI LAGOONS. Hot springs where you can swim and geysers en route to the Kasiri Lagoons. DAY 8: TO SABAYA VILLAGE. Drive and lodge. 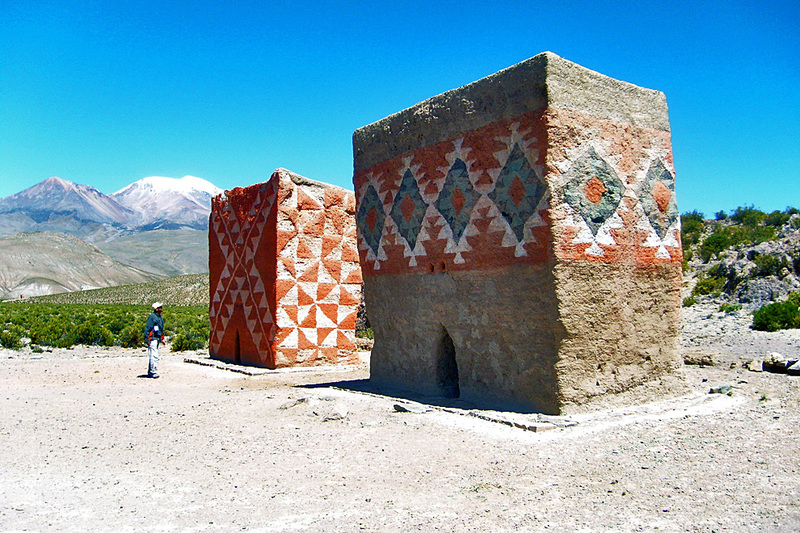 The best rural churches in the Andes. Blue lakes and colored graves. DAY 9: TO ORURO CITY. 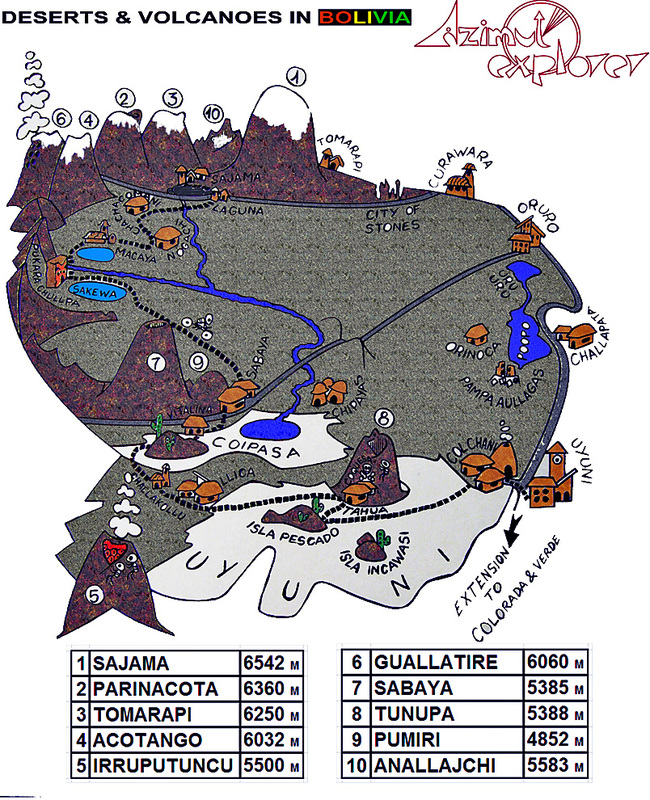 Drive on crystallized salt flats in Coipasa and then travel to Oruro. Hotel. DAY 12: TO JURIKOTA LAKE. Car transfer to Condoriri NP. Trek and camp. DAY 13: TO CHIARKOTA. Trek and camp. DAY 14: TO ANCOMA. Trek and camp. DAY 15: TO CHACAPAMPA AND TO ZONGO PASS. 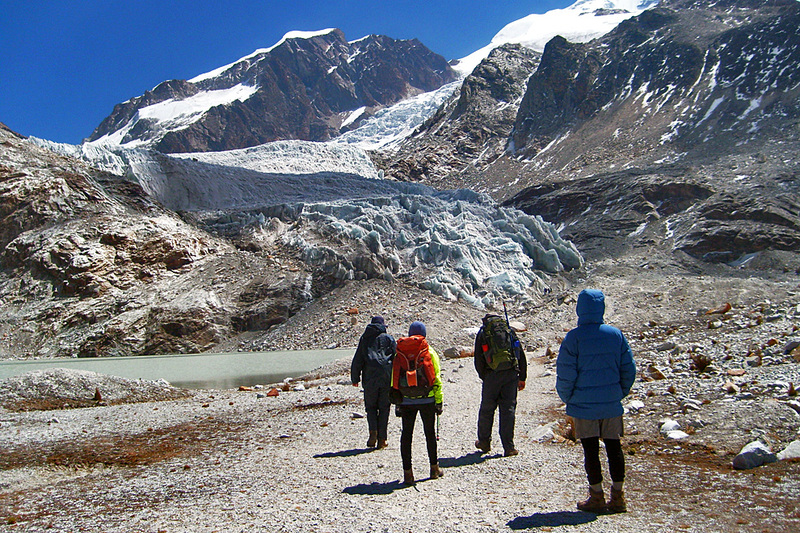 Trek and transfer to the base of Huayna Potosi mountain. Refuge. Alpine skills review. DAY 16: TO HIGH CAMP OF HUAYNA POTOSI. Trek and camp. 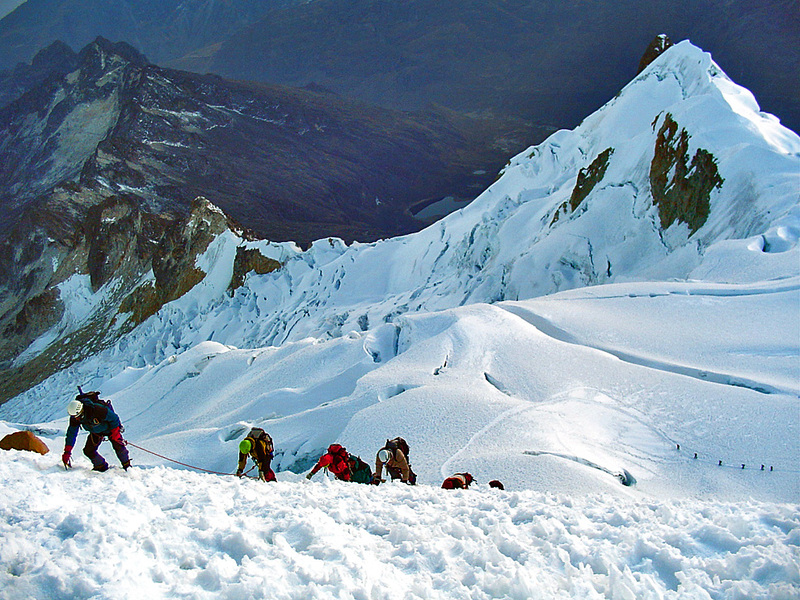 DAY 17: CLIMB HUAYNA POTOSI. 6088 m /19968 ft high. Normal Route. 6 hour climb. Return to La Paz. DAY 18: TIWANAKU. 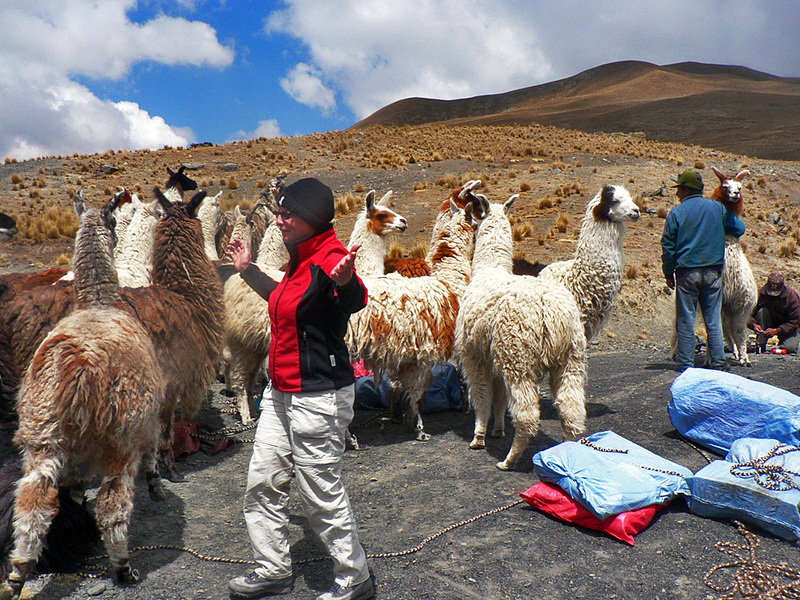 Half day tour to visit Pre-Inca temples and palaces. BRING: anorak, sleeping bag, warm gloves, polar jacket, down jacket, thermal underwear, sun glasses, head torch, sun block, sun hat, bathing suit, technical climbing equipment.